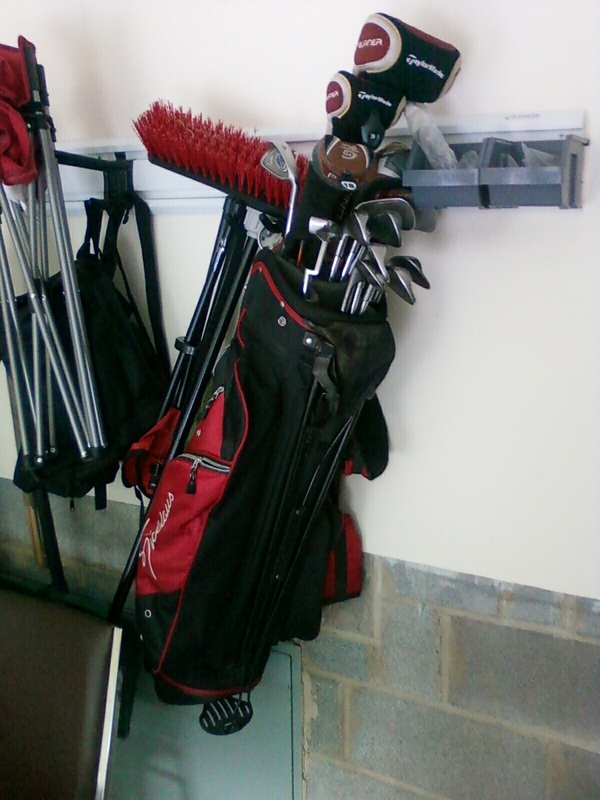 Skeptics think I would never hang up my clubs. But there they are and there they'll stay for the time being. We didn’t speak much Latin in the Presbyterian household I grew up in as a kid. My command of romance languages has historically been sketchy (care to glance at my report cards?) so I don’t know if there is a ‘seize the week’ equivalent to carpe diem (carpe hebdomas perhaps? The loose Latin translation is seven days but it just doesn’t have the same ring to it). But here’s a very coarse interpretation for letter writers everywhere: get off your keester and send someone a letter. I was just on the phone to my friend Jane in Des Moines and she groused how she and her husband Dave are out of touch with everyone including those who still live there let alone us expats. Unbeknownst to her, she opened the door for me. Jane and Dave are perfect letter recipient candidates; long time friends, people who I care about, people who want to know the exploits of Ellen and Reid. The phone call whetted the appetite but left a void that a letter can rush in to fill like so much sea water. Jane has no clue a letter is on the way but trust me, it’s already in the works. You will see it sooner than later, a week or two, perhaps. I may have a habit of lounging on my tidy rear end, but I know when its time to let my fingers carry the load. We’ve gone back a fair number of years for this note sent to Ellen during her first year of teaching in Indianapolis. Reid is on his way back from his concert extravaganza and his trip to the lake. He’ll be exhausted. We don’t want to know about everything that went on up there. The less we know the better. As long as it didn’t include drugs, we’re okay with it. If his weiner of a car makes it back, it will be a small victory. We paid through the nose to have that thing prepped for the trip. Heck, we probably shelled out more than the car is worth, easily. Next on the selling block: the van. It’s served its purpose (to move you and your bro’ and all your stuff) and now is the time to get rid of it. Your mom wants something sportier but she’ll have to fight through me to get an SUV. I’ll have none of it. Tom and Michelle ________ called us at the last minute last night to go to the ValAire for The Little River Band. We couldn’t place their music, but once we heard it, we knew who they were. It was an older crowd and people were really bopping and a-rolling. At $10 a throw, that’s pretty good entertainment. You know when the band is bald that they’ve been around a while. 30 years, to be exact.